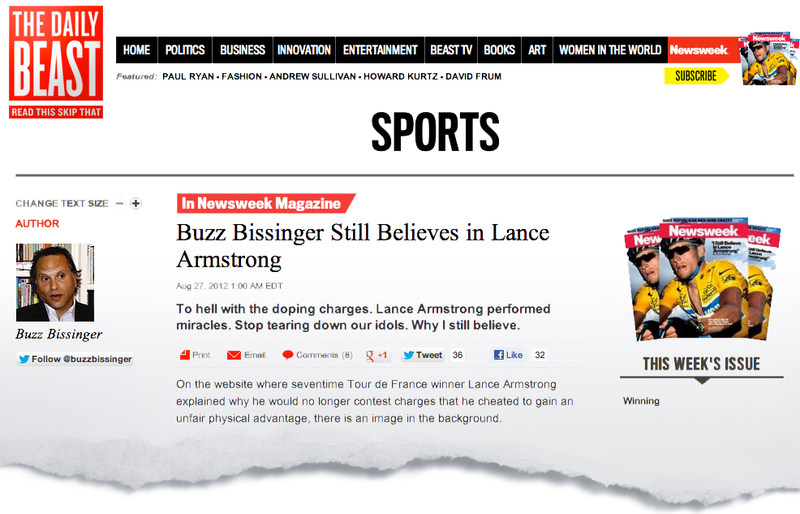 Had the opportunity to film and conduct an interview for Newsweek and the Daily Beast yesterday morning for Newsweek's Cover Story (which you can buy in stands today) "I Still Believe in Lance Armstrong." The editing was done in-house by their own editor. Here's the link to watch and to read Buzz's article.